This is my blog for all things random, fashion, trends, reviews and rants. Also for nail art trends & tutorials! Please check out my business www.melodymoo.co.uk for acrylic nails & jewellery!!!! 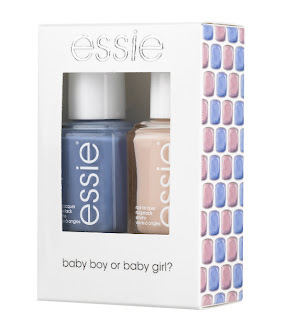 With recent Royal baby fever and the likes of Butter London releasing their baby themed polishes, Essie have launched their very own adorable Baby Duo Collection in Blue for a boy and Pink for a girl. A great gift for mums-to-be and newbie mums out there! It makes such a more refreshing and unique gift than the usual nappy stacks and stretch mark oil and either way the 2 new shades are beautiful to wear anytime. Hi, I'm Melody, owner of Melody Moo Nails & Jewellery. I create all my own hand painted nail sets and jewellery and sell the latest fashion items too. I have many many years experience designing and painting nails & a high interest in jewellery & fashion. I'm married with a feisty 1 year old also. I am an avid blogger and am currently studying my Psychology Degree in the midst of my busy life! New Arrivals to Melody Moo! Coming Soon to Melody Moo! Ethereal theme. Theme images by kellykellykelly. Powered by Blogger.